Carol Danvers is an absolute powerhouse. She can absorb energy and blast it at her foes in explosive photon beams. She can fly, and not just within our atmosphere — she has lightweight Kree tech that makes space travel under her own power no big deal whatsoever. She can bench-press an armored vehicle. Plus, she's a trained fighter pilot and general brainiac who never met a challenge she didn't take, meet, and raise. No wonder there's so much excitement about her role in Marvel's upcoming Avengers: Endgame — Thanos has no idea what's coming for him. But it's not all energy blasts and space races for Captain Marvel. Her decade-spanning history within the pages of Marvel Comics contains more than one outright failure, and quite a few weaknesses. Many of these are vulnerabilities she's faced and overcome, but some linger as little-known soft spots the right villain could find and exploit. Here are ten of those weaknesses — here's hoping Thanos doesn't figure them out. One of Carol Danvers' defining attributes is her can-do attitude. You tell her she can't do something? She'll do it twice as hard, just to spite you. You make her feel less-than? She's gonna make sure she succeeds as loudly and visibly as possible. She'll take any challenge, any dare, any put-down, and she will turn it into just another checkmark on her long, long "been there, done that" list. She's rarely afraid and nearly always ready for a fight. This has inspired many of the character's greatest successes, and is very much part of what catapulted her debut movie to success. But it has also been her greatest weakness, and caused some of her most enormous failures. In 2019's Captain Marvel comic series, Carol strands herself in an alternate dimension through sheer pugnacity, diving into a mysterious portal to who-knows-where, all in a mad rush to save her friend. It's a good-hearted act, and more than a few superheroics have been inspired by such hot-headed impulses. But it's also not the first time she's done it. 2012's Captain Marvel series saw her flung through time back to World War II because she was desperate to beat one of her hero's aeronautics records, just to prove she could. Carol doesn't know when to quit, and that's an Achilles' heel as often as it's a mark in her favor. Superhero science is about as dicey as it gets. Spilled chemicals grant the ability to run at lightspeed. Dangerous experiments produce super-strength instead of third-degree burns. Spider bites induce precognition. Carol's incredible powers make up just one of many entries in the hall of ludicrous-origin-story fame, but it's up there in terms of ridiculousness. Mysterious alien technology explodes and… changes her DNA somehow? Sure. Whatever. Now she can fly and shoot lightning from her hands! 2012's Captain Marvel run, however, tried to make a little more sense of her abilities when it actually examined the way Carol's powers have grown a lesion on her brain that gets bigger when she flies. 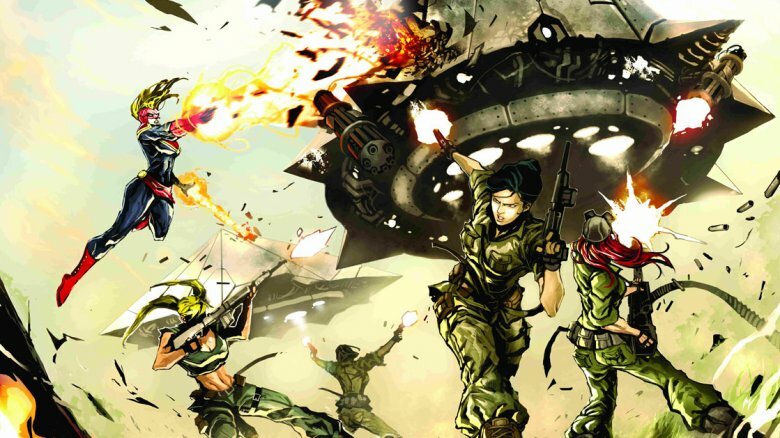 Though the hover-bike she gets out of it is admittedly pretty cool, Carol is grounded — the direst punishment for any speed-junkie fighter pilot like her — and even when she's good to go once more, the damage to her brain has caused significant memory loss. With great power come… great medical bills, in this case. Carol is characterized by her daredevil attitude and instinctual resistance to unjust authority… but just authority? She's actually pretty okay with that one. Not an enormous surprise in any character with a military background, but the lengths to which she'll go to create and enforce what she sees as order are a lot more extreme than they should be. Among the most drastic examples of this quality are her actions in Marvel's 2016 Civil War II event. After discovering Ulysses, an Inhuman able to predict the future with startling accuracy, Carol decided to put his powers towards saving the world. Unfortunately, her idea of "saving the world" grew so extreme she began to advocate for seizing those who Ulysses said would go on to do dastardly deeds… long before any crimes were committed. This story tore apart the Marvel Universe, pitting Carol against such longtime friends and allies as Iron Man and Kamala Khan. In the end, her actions were halted by a number of factors — among them, the long-term incapacitation of more than a few of her loved ones. Carol learned to step back from the dictatorial edge, but only at tremendous cost and public disgrace. 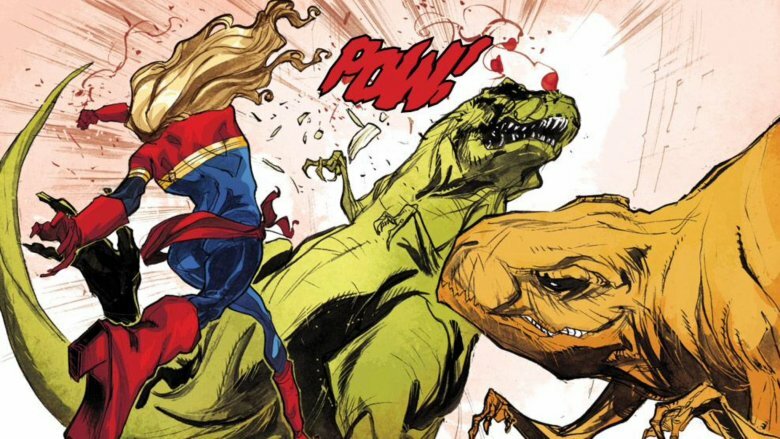 The cinematic Captain Marvel is one gal who knows how to have fun. We see her kicking back multiple times with best friend Maria Rambeau at Pancho's, a bar with a karaoke setup thoroughly enjoyed by our heroines. She's sloshed and loving it, arm slung around her pal as they wail along to the classics. Nothing wrong with that — unless you push it too far. Carol, sadly, has wandered into the realm of problem drinking more than once in the pages of the Marvel Universe. 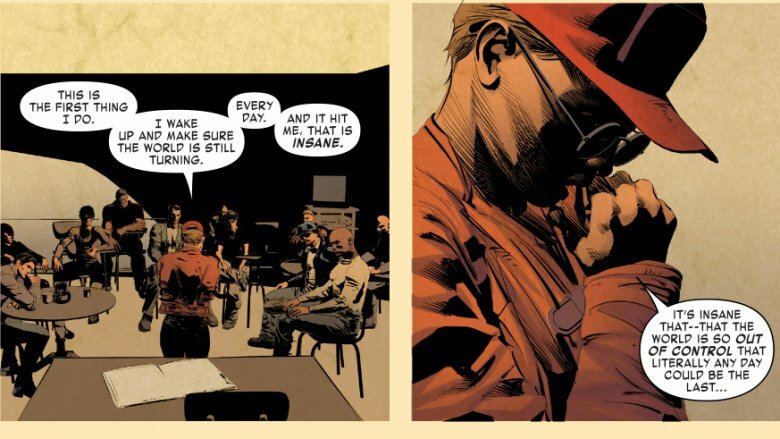 There are a few instances of Carol's alcoholism that stand out, but a recent one, from 2016's Invincible Iron Man series, sees her attending an Alcoholics Anonymous meeting alongside Tony Stark. She reveals there that the stress of being a superhero, particularly one with so large a sphere of influence, weighs on her every day, and that she's got more than a little history of turning to a bottle to alleviate that stress. Today, she copes how she can — and, as noted in this issue, has a long stint of sobriety under her belt — but it's an ongoing struggle and a commitment she needs to renew every single day. 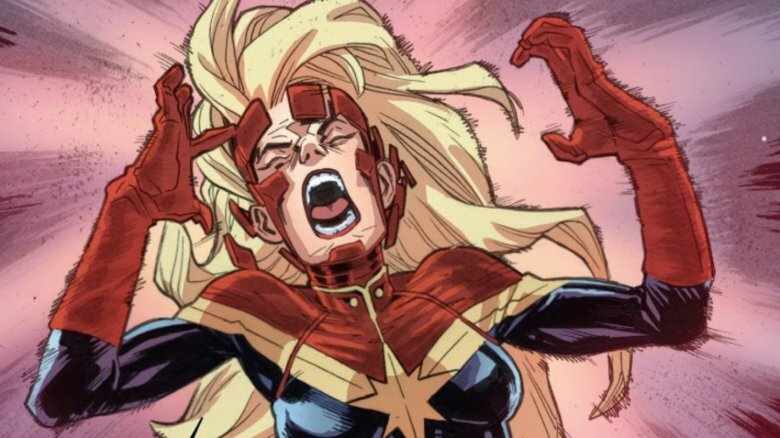 Psychic powers are a dime a dozen in the pages of comic books, but the most powerful of those with brain-altering abilities rank as some of the Marvel Universe's most fearsome foes — and Carol Danvers has proven vulnerable to their approach more than once. 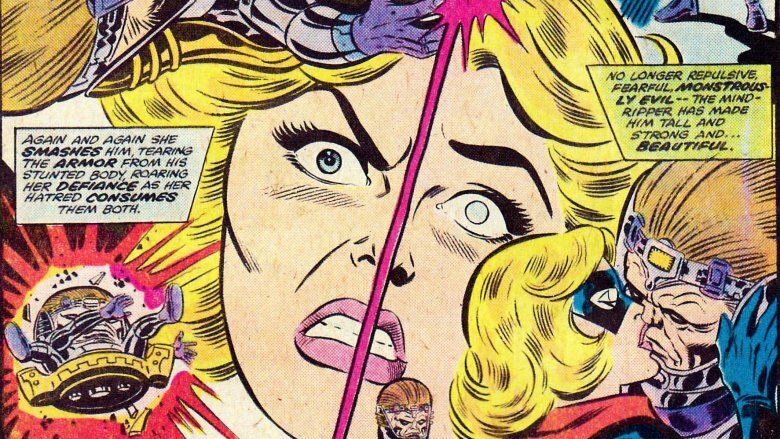 The 1980s Avengers series saw the most extreme example of this when a villain named Marcus put Carol under a mental spell that lasted for months and, ultimately, caused a major rift between Carol and her teammates. Later, during the mutant-centric House of M event, Carol's mind was flung into a fantasy of being universally beloved and hailed as the most popular (non-mutant) hero on earth. Perhaps it's her authoritative nature responding kindly to hostile takeovers, or perhaps Kree warriors are just a little more prone to being taken over. Whatever it is, Carol Danvers is especially vulnerable to brainwashing, mind control, and everything of that ilk. The memory loss that fuels Carol's search for justice and identity in Brie Larson's portrayal isn't the first time Captain Marvel has confronted gaps in her past. At first, as her late-1970s alter ego Ms. Marvel, she retained no memories of her time as a superheroine. Later, the then-villainous mutant Rogue drained her powers and more than a little of her mind. As previously established, Marcus and her Kree brain lesion have also played havoc with her ability to recall her own life, either as a threat or a fact. At this point, literally dozens of issues of Ms. Marvel, Captain Marvel, and other titles she's featured in have dealt with Carol either losing her memories or trying to get them back. One or two of these would be a unique feature of her history, but at this point, it's a pattern and a defined weakness. Carol Danvers has lost pieces of her past so often, it's a miracle she remembers anything at all. Much of Carol's original incarnation has been reduced in significance over the course of her character's rise to mass-media prominence. This isn't unusual —Wolverine and Captain America might be household names, but Wolverine's one-time bride Mariko Yashida and Steve Rogers' time as a freelance illustrator in the swinging 1970s aren't well-known outside of comic-reading circles. Carol's time as editor of the in-universe feminist magazine Woman has been left behind for a more military-minded career, for example — as has her original weakness, a split personality. Originally, "Ms. Marvel" was a personality that took over Carol by force, a wave she hated surrendering to, often accompanied by dramatic bouts of fainting. 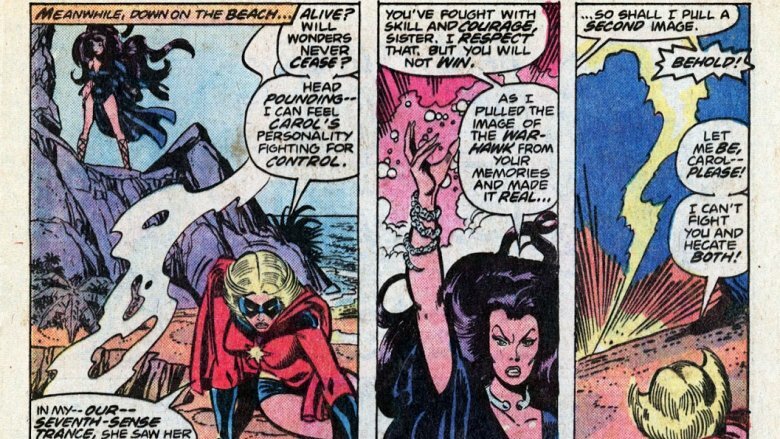 Carol was only able to reconcile with her "Ms. Marvel" self when she fought the villainous Hecate and was forced to combine her amiable Carol nature with her unnatural Ms. Marvel strength. It's not something that made it into the modern day — even though there are more than a few actresses who'd be able to pull of Hecate and Carol's fetchingly flippy '70s hairdos — but it remains a weak point in her character history. 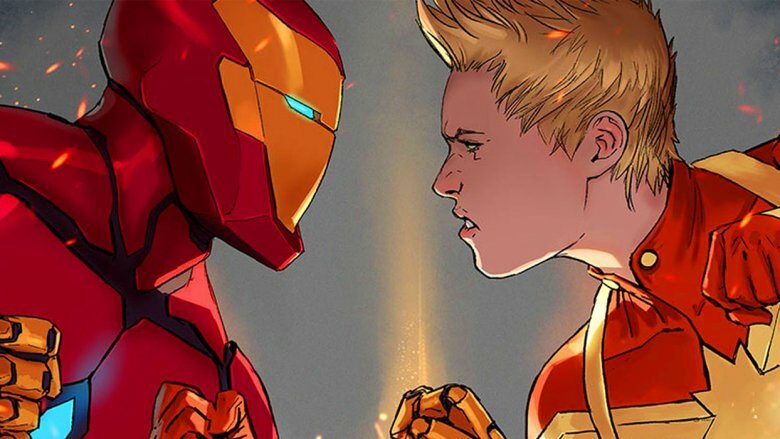 Carol Danvers might be a hot-headed fighter pilot who lives to break the rules, but she's also someone who just wants to be respected, and beyond that, simply liked for who she is. The struggle to prove one's self, as she's had to do as a woman in more than a few men's worlds, is exhausting. Who could blame her if she just wants to be celebrated once in a while, without jumping through an interminable number of hoops? Unfortunately, this has been weaponized more than once by multiple Marvel villains. 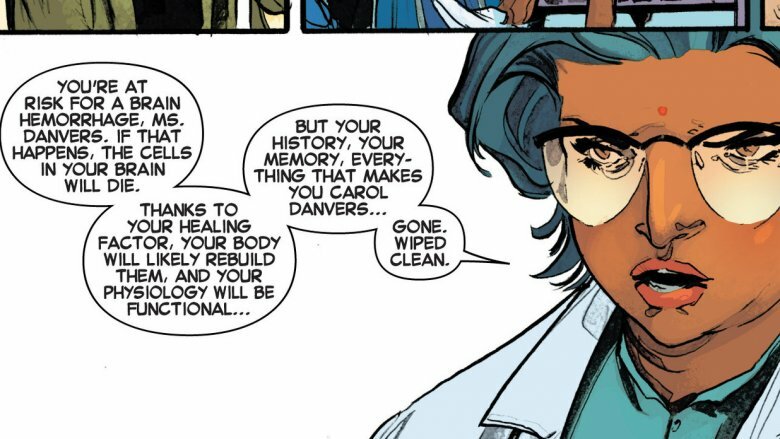 Most prominent is Carol's aforementioned brainwashing in House of M. It's not just that Carol was drawn in by a fantasy of universal appreciation, however — it's that the desire stayed with her afterward. 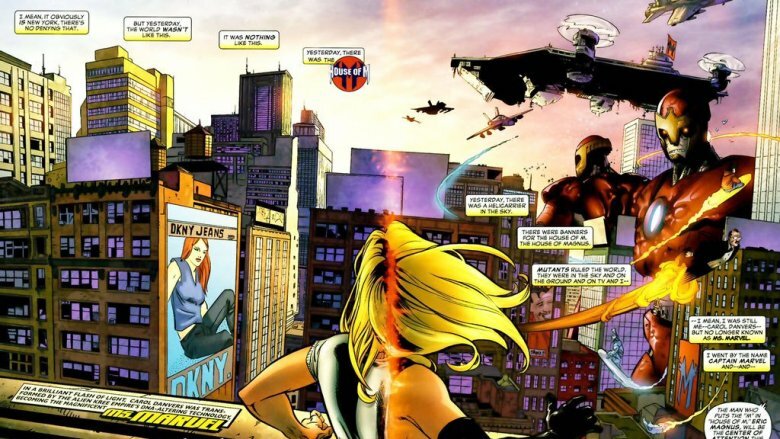 The event's aftermath featured in her titular Ms. Marvel series as Carol struggled with her newfound knowledge of self and her subsequent desire to hire an agent to make it as a high-profile hero. There's nothing wrong with demanding what's yours, but it remains to be seen if this desire is something Carol might be made to pay for once again. 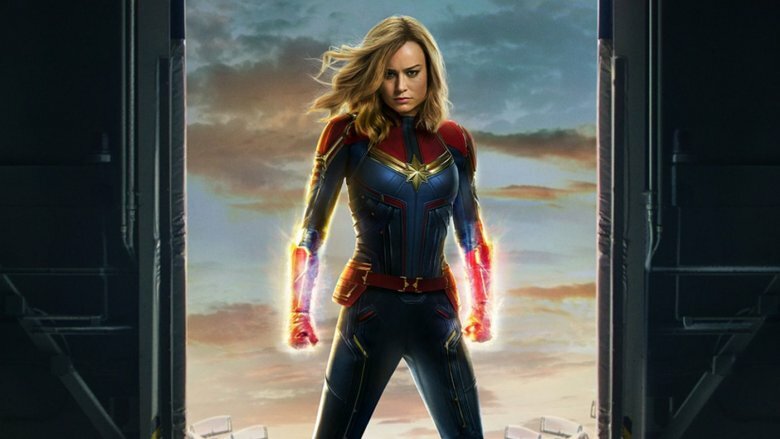 Captain Marvel is immensely strong. She knocks out aliens built like semis on the regular. She recently lifted a many-hundreds-of-tons-weighing Celestial with nothing but her two strong arms. She is far beyond the abilities of, say, a Steve Rogers, who is strong within more of a typical range, and further still from the peak-performance athletes of the Marvel universe. When her ability to absorb power (granted by her Kree augmentations) kicks in, she can grow stronger still, to the point that the upper limit is unclear. But this is the Marvel Universe, where literal gods often tangle with the Avengers, and though Carol is near the peak of power, she does not sit atop it. Though they'd give each other a run for their money, an unstoppable force of rage like any one of the Hulks would likely beat Carol in a test of sheer muscle, as would heavy-hitters like Thor. She has other abilities on them, but raw strength remains a foundation of superheroics and she is, simply, outclassed. It's not a weakness to most, but it is a weakness to some. 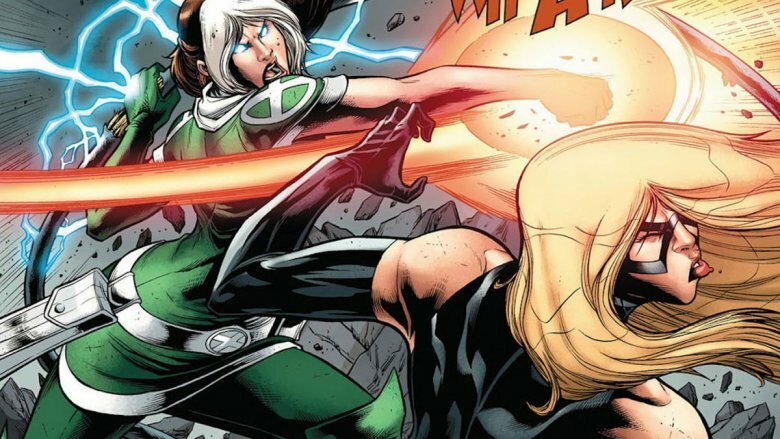 Carol's powers make her one of Marvel's heaviest hitters, on and off the page. Super-speed. Super-strength. Photon blasts. This is to say nothing of her combat training and skills with machinery, nor her can-do attitude. But when it comes to power-drainers, Carol is defenseless — and it's brought her to her knees. In the early 1990s, every single one of Carol's powers and many of her memories were absorbed by the mutant (and future member of the X-Men) Rogue, leaving her genetic structure altered by her history but functionally useless in terms of superpowers. She was left totally incapacitated for years, and only grew powerful once more through multiple successive Marvel events. Hopefully she doesn't run into another power-absorber anytime soon, because there's no immunity she built up in the intervening years. With one quick touch, she could be Carol Danvers, Average Jane once more.